It’s an era of smartphones. Each and every person has Smartphone in their hand because smartphones are available at cheap price and provide lots of features and accessibility anytime, anywhere with network connectivity. 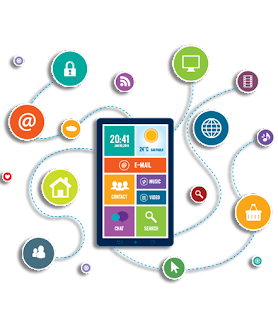 Many applications are available now for smartphones from a business point of view. They are very beneficial for B2B and B2C firms. The applications provide server based and client based user interface which helps both the parties to establish an easy connect with each other. Many companies earn a lot of revenues from the Mobile Applications, as the product and services of the company are built on a platform with the ease of accessibility i.e. Mobile Application of a particular product and services will help the customer to get the product and services at any point of time. There are lots of expectations from a mobile application. The most important being, accessible and productive at the same time. How it helps to build a customer base? Just by developing applications as per the customer’s requirement. The basic requirement for the Application Development is that it should be easy to use, configure at the same time fast enough to accomplish the objectives of the client and provide basic utilities to the client. A good application of above-mentioned functionality is desirable. A secured server which will protect the data of client as well as owner and not disclosing their personal details publically is another must! 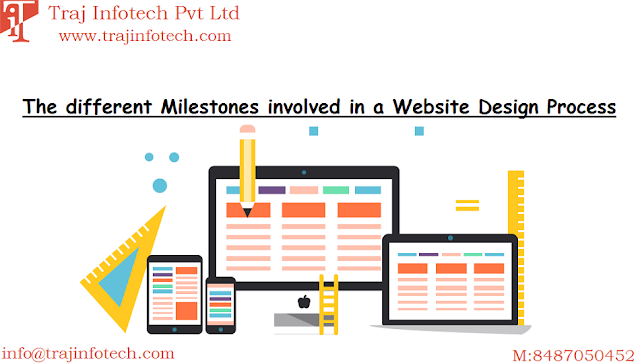 The application once developed must be updated regularly for security purposes as well as for daily improvement of the interface to avoid client based issues and get a client friendly application. You can contact us, we will help you build an application as per your requirement. for, the application developed by us will be easy to use and configure and the main requirement of securing the application will be fulfilled by our company Traj InfoTech that will provide you build an application as per your needs be. For more detail, you can contact us @TrajInfoTech. Labels: Android apps, Best IT Service Provider Company in Ahmedabad, Freelance android, iPhone app development, iPhone application development, iPhone development companies, Mobile Application Development.